The John Beargrease Sled Dog Marathon is touted as the toughest race in the lower 48. John Beargrease was the son of an Ojibwa Chief, who was born in Minnesota in 1858. He became legendary for carrying mail along the shores of Minnesota to settler encampments while on his fur trading expeditions. In summer, he carried mail by boat and on foot. In winter, he would use a dog sled. 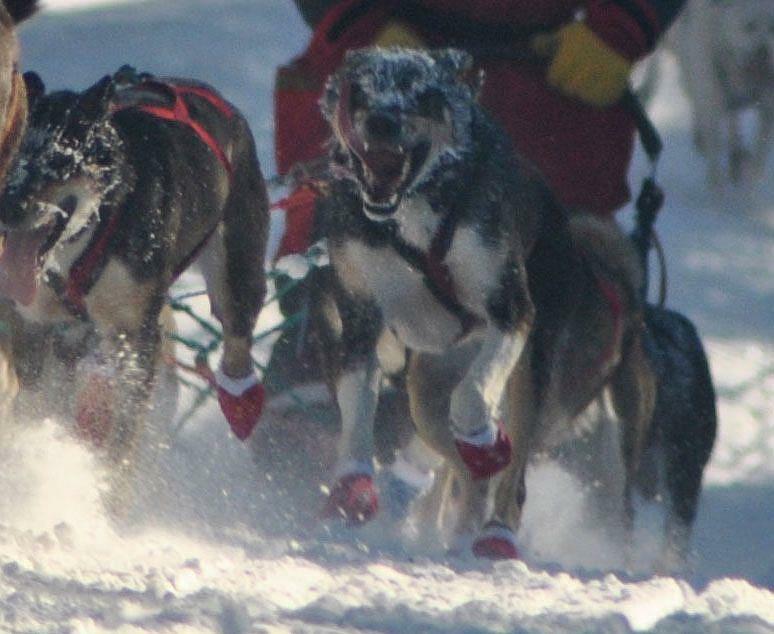 We here in Duluth Minnesota are very proud of this race and even though it happens to take place in the dead of winter, thousands of spectators crowd the race start festivities. We are a hearty bunch up here in the far north and love our Winters! 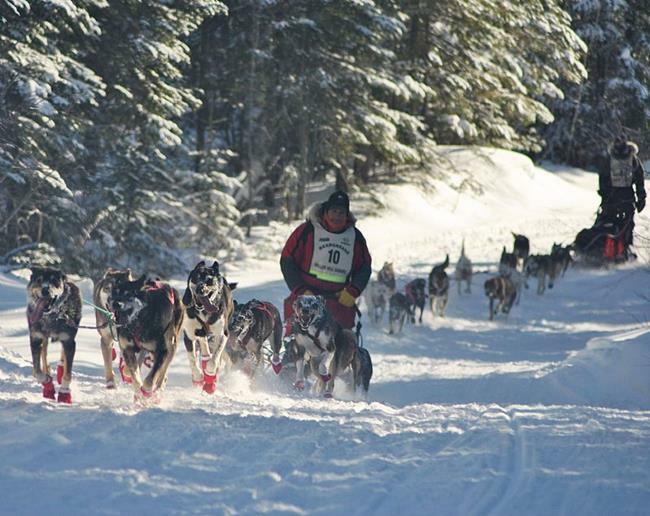 The crowds are great for the mushers and dogs, but I prefer my secret spot on the trail. To get there I have to lug my firewood and everything I need for the day up hills and go deep into the woods, in freezing temps. The reward: The only sounds are dogs breathing and sled runners passing by, and the occasional spark from my fire. It is my favorite day of the year! Image taken with Nikon D3000 and a broken Promaster 70-300mm lens. Yes, I dragged all that stuff into the woods and my lens decided to stop working for the most part!